Face reading techniques help you learn a lot about a person’s inner nature and characteristics. They prove to be very useful in professional as well as personal life. With these techniques, just having a serious glance at the face of a person can help you get a fair idea about him, sometimes even more than what you will come to know after getting to know him personally. Reading a face, just like an open book, requires a lot of talent to decipher the truth behind the mask. 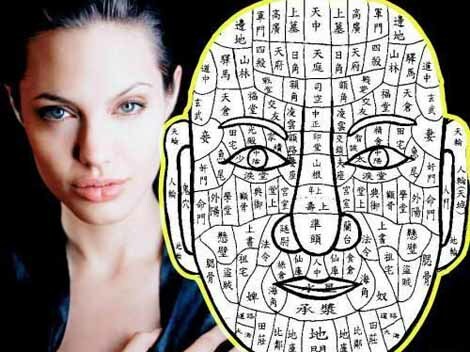 In this article, we present you the most popular face reading techniques, covering a few important facial expressions, reading which may help you get out of a confusing situation. The following techniques will help you get a fair idea regarding the inner true self of a person. 1. A round face is known as water-shape face. Such faces are quite plump and fleshy. The people with such a face are emotional, sensitive and caring. They are thought to have strong sexual fantasies and prove to be right choice for a long term, stable relationship. 2. Long and thin faces are called oblong or wood-shape faces. People with such a face structure have a muscular or athletic physique. They are practical, methodical and tend to be overworked. They are weighed with narcissism and have problematic relationships. 3. People with triangular faces relate to a thin body and intellectual suasion. They are creative and have a fiery temperament. 4. Square-shaped faces are known as metal-shaped faces. People with such a facial shape are intelligent, analytical and have a decisive mind. They are aggressive and dominating in nature. 1. People with a straight forehead follow a progressive style of thinking. They do not have a fast reflex response and find it difficult to work under pressure. 2. Those with a sloped forehead are fast thinkers and quick decision makers, though they tend to take a lot of wrong decisions. Most basketball and football players can be seen with a sloped forehead. 3. People with a curved forehead are creative, love to use their imagination and hate maths and accounts. They are good in arts and areas related to creativity and imagination. They are extremely intelligent and turn out to be geniuses. 1. Prominent eyes depict that a person is bright, happy, kind-hearted, friendly and easily approachable. 2. Small, shifty eyes indicate that a person is a perfectionist and attentive and has a nervous temperament. 3. Close-set eyes indicate that a person has a good concentration power, while uneven set eyes show that the person looks at different things with a different perspective. 4. Wide eyes depict a broad minded and tolerant person, while narrow eyes depict a narrow-minded person. 5. A person with upward slanting eyes is an opportunistic and quite determined. 6. A person with deep set eyes is intense, progressive and observant. Such a person can be found in creative and writing fields. 1. A person with weak or thin eyebrows is indecisive and may lack self confidence. 2. A person with bushy eyebrows indicates assertiveness and strong personality. 3. A person with unibrows is intensely persistent, jealous and possessive. 1. A high, straight, full and fleshy tipped nose indicates that the person is a good mannered soul and has set high standards for himself. 2. A person with a big or oversized nose tip is more prone to violent acts. 3. An aquiline-nosed person is strong willed, independent and enterprising. 4. A person with upturned nose loves to mix with people around him. 1. Thin top lip and full bottom lip indicate that people cannot reciprocate in a relationship. 2. Full top lip and thin lower lip indicate a kindhearted person. 3. Full round lips depict caring and sensitive nature, while small lips show a self-centered personality.